How To Delete Mega Account :- Mega is an cloud storage and hosting website that lets its users to store or save files on their server and share the download link with your friend circle. The website lets its users to create and edit account information, upload files on their server, share the file with friend or family members so they can download and access your files from pc or smartphone. We have received some mails from our website readers that they want to delete their account from Mega website. When we studied about this topic we discovered that many users who are deleting their account from the website are receiving mail from the company which is making their inbox look spammed while other members says that they are using other cloud storage service so want to remove their account from this website. If you are deleting your account just because of their newsletter or mail you can either mark the mail as spam by clicking on spam button given at top of your mail button or unsubscribe the mail by clicking unsubscribe link given at the bottom of the mail. If your reasons are other then i will guide you step by step method on how to delete your account from Mega Website. 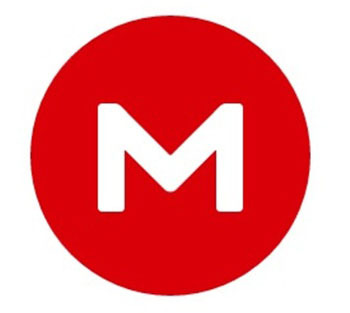 Mega website was founded by Kim Dotcom in 2013 and currently it is one of the best online file sharing website that can be accessed worldwide. Currently there are more than 213 million members visiting the website on monthly basis. Go to the following url “https://mega.nz/” and sign-in to your account. Once you sign-in to your account click on MENU button which is given at top right section then a drop down menu will appear. On that drop down menu click on MY ACCOUNT link. On My Account Page click on CANCEL YOUR ACCOUNT button which is given right next to profile pic. Once you click on that link a message has been pop-up regarding the confirmation that you want to close your account click on YES. Now a mail has been sent to your email-address so open your email-address and click on the mail received from mega.nz. On that mail click on button I WANT TO CLOSE MY ACCOUNT then enter your password and click on CLOSE ACCOUNT button to permanently delete your account. For more information on How to Delete Mega Account stay updated to this website.